by Juliet Barclay/MacMillan 2007. Beautifully illustrated enchanting children's story by writer/artist who has lived in Cuba for many years. Young girl Miri lives in Havana. 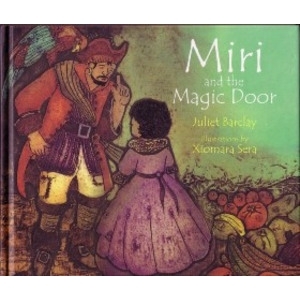 She enters the Magic Door and goes back in time to an age of pirates and 19th century colonial Cuba.